The amazing journey of an Operation Christmas Child shoebox begins with YOU. Join us for the 11th annual Bikers With Boxes charity event as we continue our support of this Samaritan’s Purse ministry. 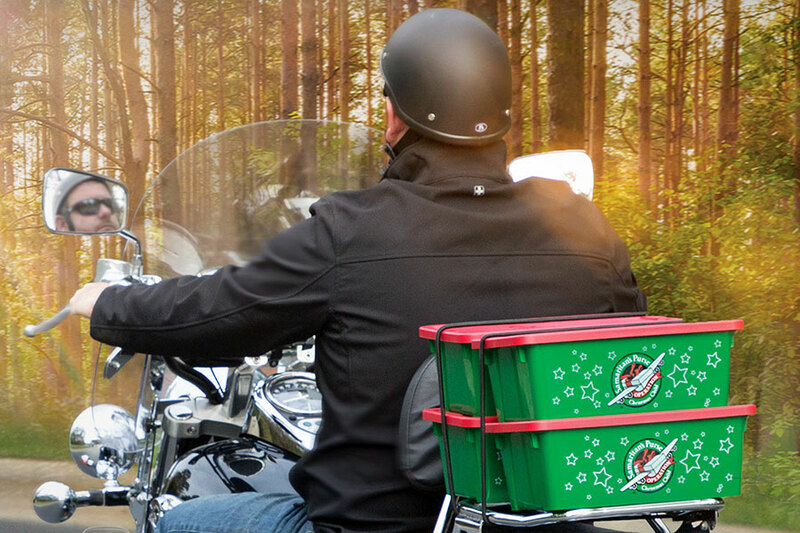 Pack your shoeboxes and ride to the Billy Graham Library for a day of fellowship, music, food, giveaways and more—all to benefit Operation Christmas Child. Help us reach our biggest goal yet: 6,500 shoeboxes. Ride alone, with your club, or meet up with a group coming from your region. Complimentary lunch is served from 11:30 a.m. – 1:30 p.m.
You will also have the incredible opportunity to hear from someone who received one of these shoeboxes as a child and learn how a simple shoebox can change a life. While you’re here, be sure to take The Journey of Faith tour and visit the Graham Family Homeplace. You can also visit the Memorial Prayer Garden, the final resting place of Billy and Ruth Graham, as well as other original team members. For more information, please call 704-401-3200 or email LibraryEvents@bgea.org. Get more information on Operation Christmas Child and how to pack a shoebox.